As we have reported several times, excellent progress is being made to improve the energy efficiency of all new homes. There have been several programs (for example, ECO Energy and Reno Quebec) to help homeowners upgrade older homes. 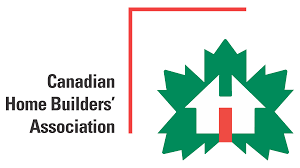 However not all sectors are moving at a uniform speed in supporting this trend – and this was again discussed at the Canadian Home Builders Association (CHBA)’s fall meetings in Ottawa. The problem is that homes lose less heat, so they require smaller heating furnaces, but this is often not happening. The best guide for calculating the right size of the furnace needed by your energy efficient home is the new (2014) CSA F280 standard. This standard, however, has yet to become the everyday “bible” of home builders and renovators across our country. We urge you to insist on its use. Any builder/renovator can buy it from CSA. Otherwise you may be paying for a large furnace that you do not need, and that fails to maintain a uniform temperature within your home. And that means you are paying money to be uncomfortable. Better to save money and be more comfortable!